Apartment Therapy, The Perfect Palette, AllSeated and more! Wedding PR: Apartment Therapy, The Perfect Palette, AllSeated and more! Another week and another round of press features! From Apartment Therapy to The Perfect Palette, we couldn’t wait to share these gems with you! 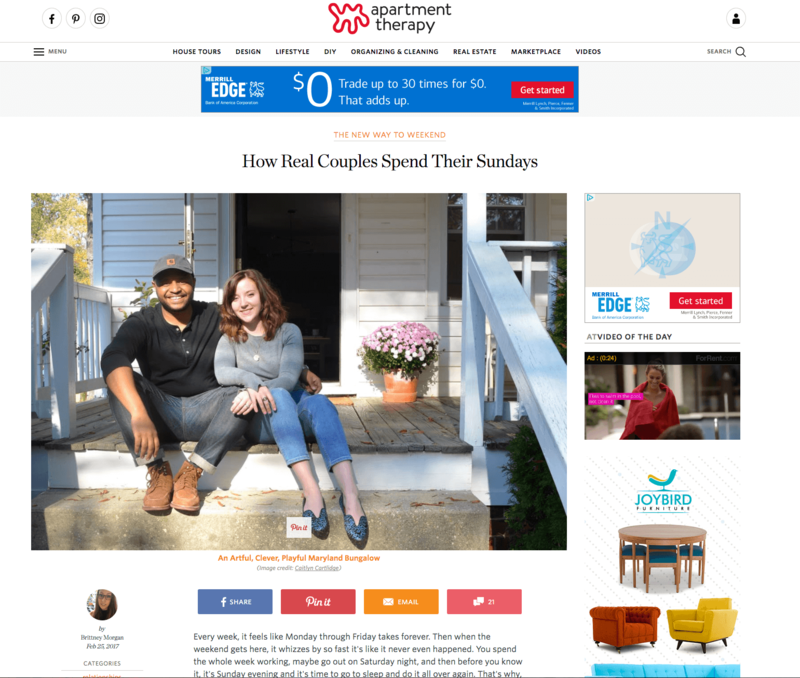 OFD Consulting was featured on Apartment Therapy in the roundup, How Real Couples Spend Their Sundays. See the full feature here. Destination Weddings Travel Group was featured on AllSeated with their guest article, How to Choose Your Destination Wedding Location. See the full article here. Kaysha Weiner Photographer was featured on The Perfect Palette with her real wedding, Samantha & Ryan’s Storybook Wedding. See the full wedding here. Belladeux Event Design was featured on Catersource with her guest article, Event Design: How to Convince a Client to Ditch the DIY. See the full article here. Taylor’d Events Group was featured on PartySlate with their real wedding, Anna and Ryan’s Sophisticated Seattle Wedding. See the full wedding here. OFD Consulting was featured on WeddingWire EDU with our guest article, Hiring an Intern: What You Need to Know. See the full article here. Destination Weddings Travel Group was featured on Brides.com in the roundup, Lucky Spots Around the World To Visit During Your Honeymoon. See the full feature here. Kaysha Weiner Photographer was featured on PartySlate with her real wedding, Heather and Nate’s Romantic Waterside Wedding. See the full wedding here.